We are an artisan market of handprinted apparel, goods, and fine art. 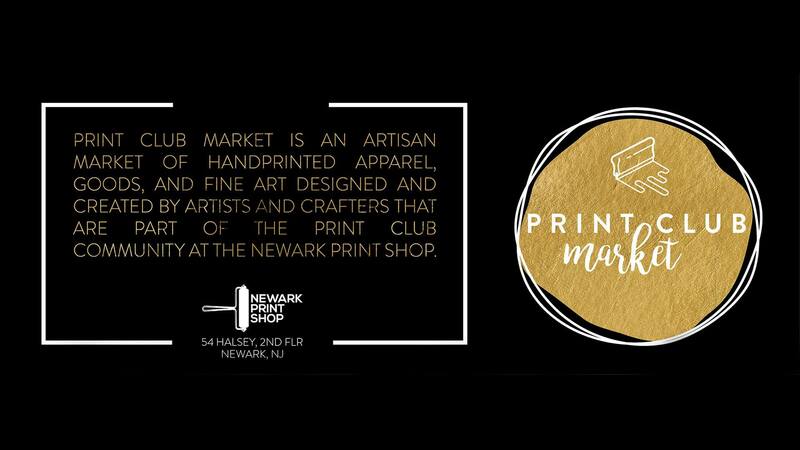 This market consists of artists and crafters that are part of the PRINT CLUB community at the Newark Print Shop. Saturday, October 6th | 2-8pm We hope to see you there! Want to sell with us at our annual PRINT CLUB MARKET during the Newark Arts Festival? *Please note, your work or part of it, must be created at our shop. To complete registration, there is a tabling fee of $50 (NPS provided table) or $40 (vendor provided table). NPS does not take a percentage and the vendor keeps 100% of the profit from sales. All vendors must be present to facilitate transactions and we encourage vendors to have both cc and cash options for payment.